A sample goes off to an independent lab for analysis. 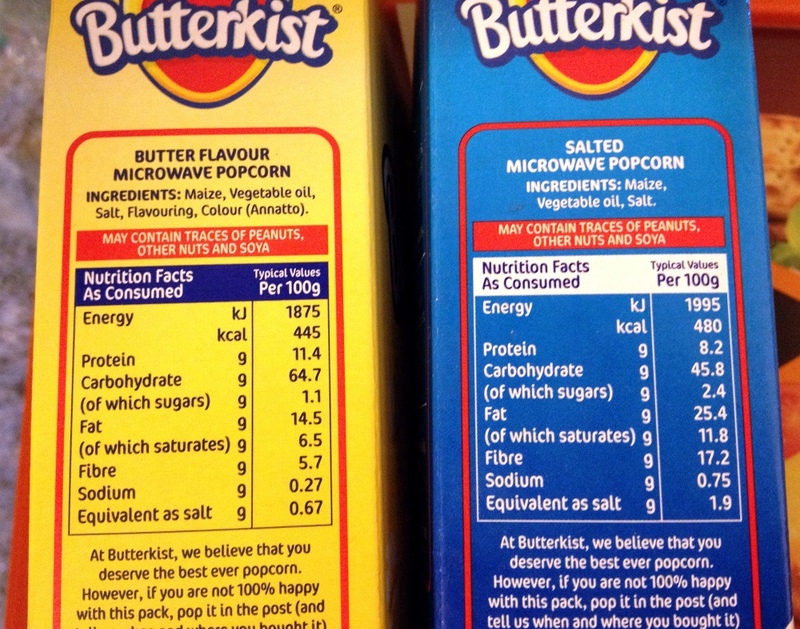 AFAIK each product needs its own sample so you can't say that the two products will essentially be the same nutritionally since the only difference is really the presence or absence of a small amount of salt or butter flavour. The analysis, again AFAIK, only needs one sample though and so two samples of two similar products can both be at once "representative" and fairly different. Perhaps one picked up a lot of outer husk and the other little. Perhaps one was rather more than usually greasy and one below average in the residual vegitable oil. At the end of the day the food producers put nutritional information on packages because they have to, not because they want to be nice people. As long as the process ticks the legislative boxes they're happy. The law forgot to mention that it has to be useful, so you shouldn't be surprised if it isn't.